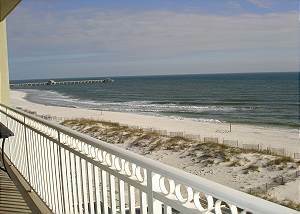 Reserve one of our Gulf Shores vacation rentals and begin planning your ideal vacation to the Alabama Gulf Coast. While enjoying your stay in one of our vacation rentals, Alabama’s beaches offer everything from beautiful white sandy beaches, emerald green water, jet skis, parasailing, building sand castles with the kids, boogie boarding the waves, sailing and even professional charter fishing. If you’re looking for a fun-filled family or group vacation, let us provide you with a comfortable beach front vacation rental to stay in with a view to remember. 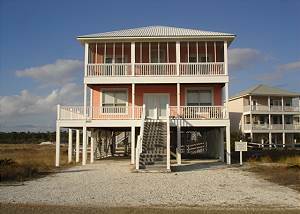 Call 3 Palms Vacation Rentals today to book your next Gulf Shores vacation rental. Wonderful a dream come true, right on the beach side and just a few steps and you are in the sand. A great beach house with terrific gulf view. 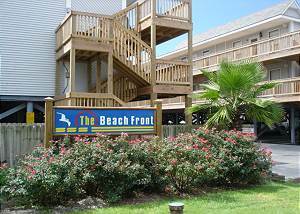 Flat screens in bedrooms.WiFi Upper screened porch, 4 bedrooms, 2.5 baths w/outside hot/cold shower WII console, beds for 10 , community pools/tennis, short walk to beach.